The third shoot on day one of the Great Trentham Collaboration was with Ashley-Jane Cole. 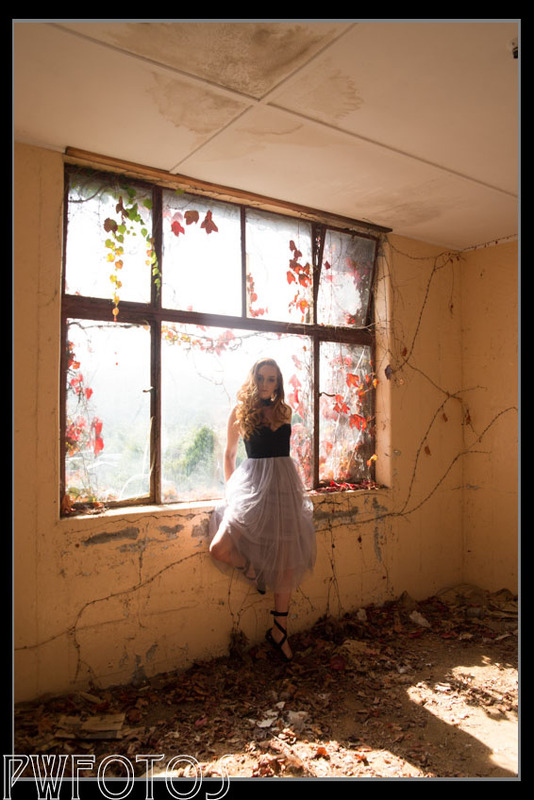 I had shot AJ three years previously at the waterfall in Upper Hutt and again when she was at a recording studio as she is a very talented singer/songwriter. AJ had chosen a swing dress from Deranged, which styled up for a ballet theme. Her makeup was done by Eden Gibbons. On the upper level of grandstand was a cafe with a Fence look so I made up of a large mural for my first set of images. We then moved to the outside and particularly around the base of the vines that encase the building.